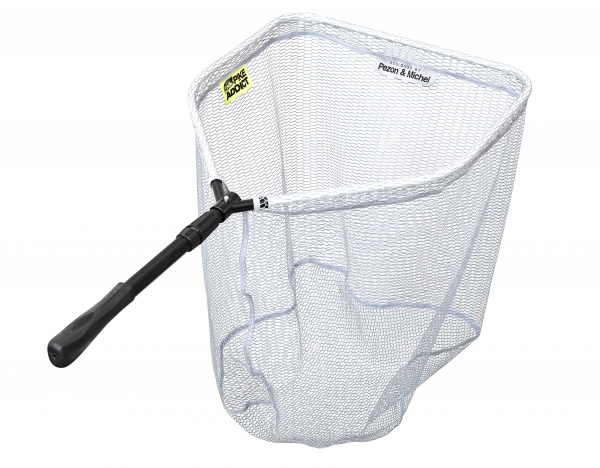 Pezon & Michel Specimen Boat Net from the 'Pike Addict' Range is a tough landing net designed to handle big Pike and Zander, its 1.1m handle length make it ideal with fishing from the boat or when wading. This rubberised quick drying net is perfect for those who want to leave the net in the car. Please note the picture shows the net to be white, in real life the net is a dull silver light grey colour.